Typically this system would be used for breeding and pre-breeding applications. However, KDDart's flexible architecture can be applied to a variety of multidisciplinary, agro-ecological and environmental research undertakings. 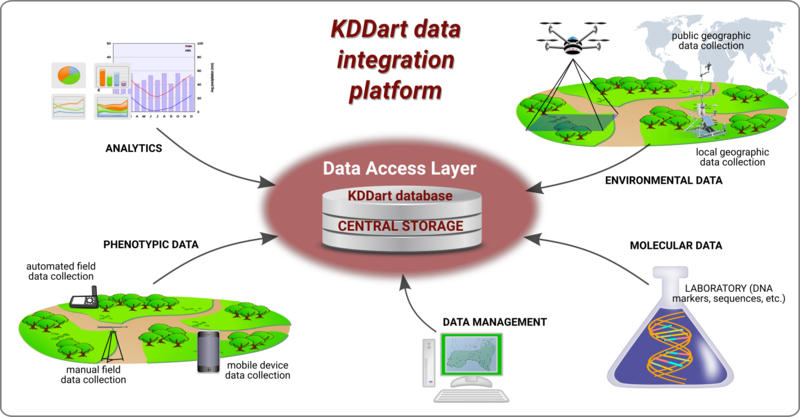 Offering KDDart as an Open Source platform is intended to pave the way for a collaborative environment to develop software applications that address current and future research needs. Diversity Arrays Technology (DArT) initiated the development of the KDDart platform working with a broad range of industry clients over several years. Different application modules cater to diverse user needs, however KDDart is more than just a few applications. This brief overview of the KDDart platform is recommended before delving further into user applications. 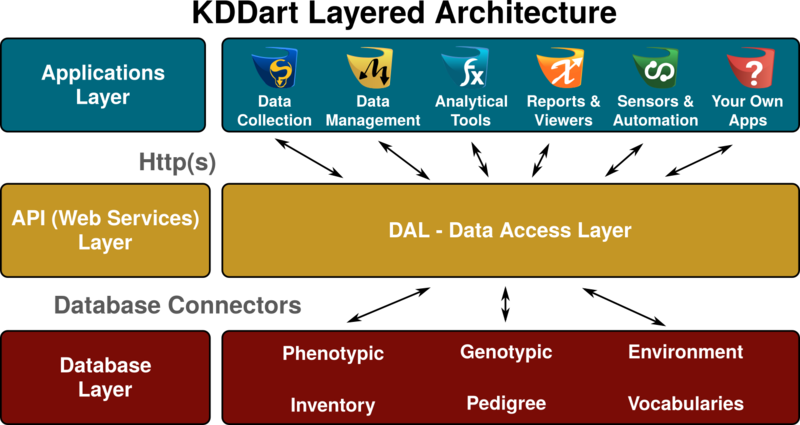 Several comprehensive KDDart applications cover the activities of the breeding lifecycle. When needed you, or DArT P/L, can develop and integrate your own application(s) using the fully featured API or Data Access Layer. After reading the KDDart Introduction, the Applications Overview explains some of the existing user functionality. Software developers or programmers can develop their own applications or extend and enhance existing KDDart functionality. This overview provides an insight into the Data Access Layer (DAL) which is a very comprehensive RESTful Application Programming Interface (API). The KDDart data model, API help and a few examples are provided.